As a pricing system, ‘pay-what-you-can’ has been around for decades. 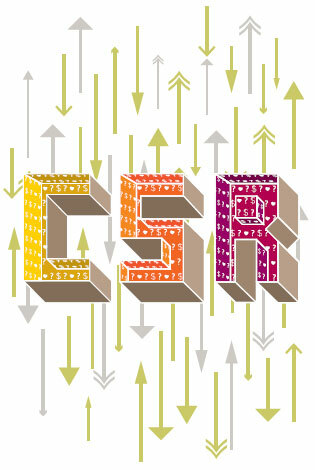 The definition of Corporate Social Responsibility (CSR) varies, depending on whom you ask. At its heart, though, is the theory that investing in positive behaviors will produce positive outcomes. Recently, Panera Bread put that theory to the test. In 2010, Panera’s nonprofit foundation opened the first of five “Panera Cares” cafes, offering a “hand up” to those in need by operating on a pay-what-you-can (PWYC) system. The cafes didn’t have prices listed or cash registers present — just suggested donation amounts. These cafes generate about 70-80 percent of the income generated by a traditional Panera store. But it’s still enough to turn a profit. We spoke with Liz Livingston Howard, director of nonprofit Executive Education, about the program, its potential benefits and why the future of PWYC in the corporate realm may or may not catch on. Why is Panera one of the first corporate examples of the PWYC system? I’m not sure I would say Panera is one of the first corporate examples; I would say it is one of the first for-profit entities to consider this as a business model. I think that part of the motivation — and I’m certainly not speaking for Panera executives — is branding and marketing. I think there are a lot of companies that have looked to differentiate their brand in some sort of charitable fashion before Panera. This happens to be a different twist on how to do that. Is this going to benefit Panera in the public eye? If you ask this very broadly, “Is this a good thing for Panera to do?” I’m going to answer from my perspective, as someone interested in the intersection of private corporations, public policy and public issues. And I’m going to say yes. Panera is bringing discussion … around the issue of hunger in America to a constituency who might not normally witness, see or understand the immediacy of the issue. Do you see this as a socially responsible move? I think that companies today — and this is what we teach at Kellogg — are looking at a broader range of stakeholders. [They’re thinking beyond] the traditional, transactional nature of, “I sell a good, so I really care about the person who buys the good. I answer to shareholders, so I really care about maximizing profit.” Those are still very important constituents, but as we teach in the nonmarket environment classes we now have to be far more concerned with other stakeholders involved: society as a whole, our employees, those on the margins of society and those in the communities in which our businesses are housed. I think companies are taking a broader view of their role in society, and Panera’s PWYC concept is a tool that can be used to impact a greater number of stakeholders.